BORG Calendar (Berger-Organizer) is a free open source cross platform calendar and task tracking system. It supports the regular appointments and tasks and you can also take notes as a simple todo list. It also comes with the powerful task or project tracking system. It supports repeating appointments and private appointments. The private appointments, do not show by default. Some other features are Pop-up reminders, Email reminders, address book, XML import/export, Memo book with a strong encryption option, Checklists and H2, MySQL DB, HSQLDB, generic JDBC. 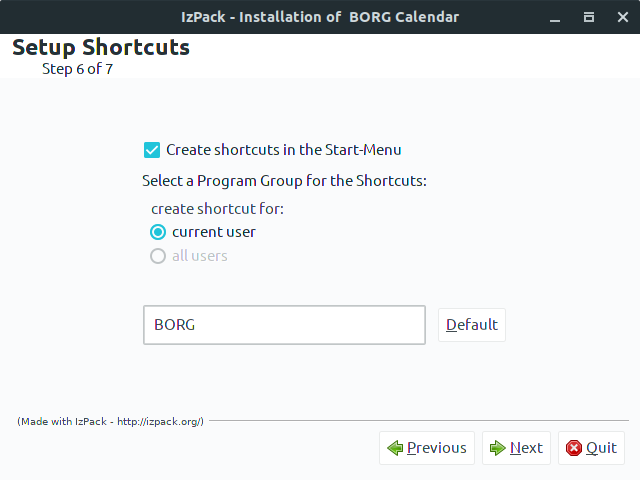 Go to the BORG Calendar download page and download the borg installer jar file. (Ex: borg_installer-1.8.3.jar). The default download location in ubuntu is Downloads folder. Right click on the downloaded file and select properties. In the properties window select the permissions tab and check Allow executing files as program option. and close that window. 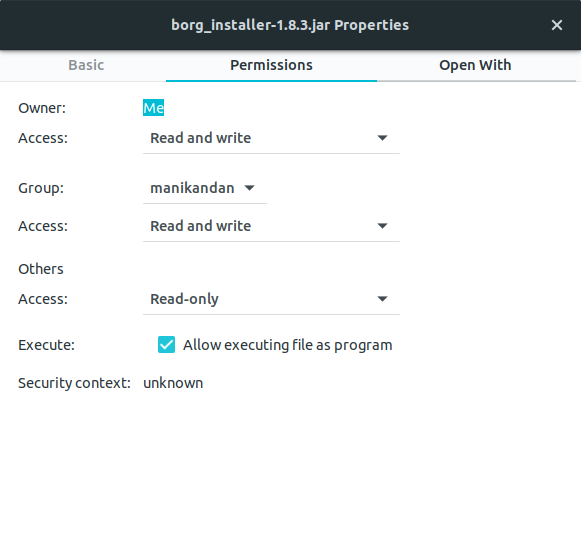 Now double click the downloaded file (here its borg_installer-1.8.3.jar). It will open the BORG Calendar installation windows. Select your language and complete the installation. After the successful installation of BORG Calendar restart your ubuntu computer.That’s it. 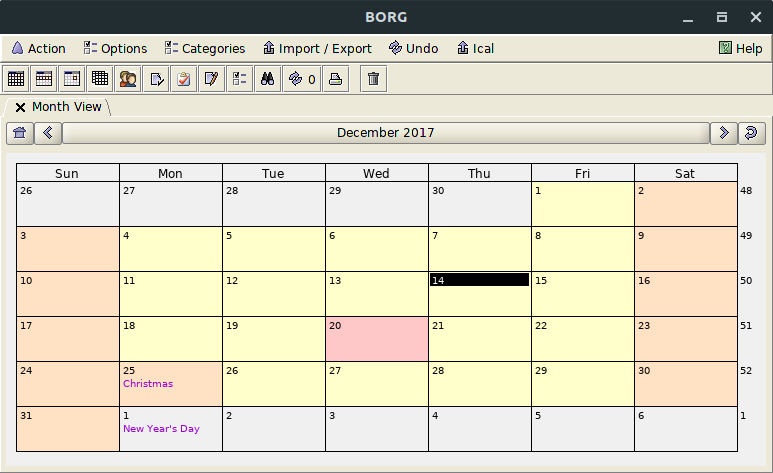 To open BORG Calendar, click the show applications in the Ubuntu Gnome dock and type BORG in the search box and click BORG Calendar.For Unity you search BORG from ubuntu unity dash.